PLEASE NOTE: Some conditions are not suitable for massage therapies. Please speak to your doctor about any health concerns you may have before booking an appointment. For many years men and women of all ages have been coming to Beauty Box for the best massages in Bristol. The warm lighting and gentle music welcomes and calms you when you arrive and soothes you all the way through your treatments. 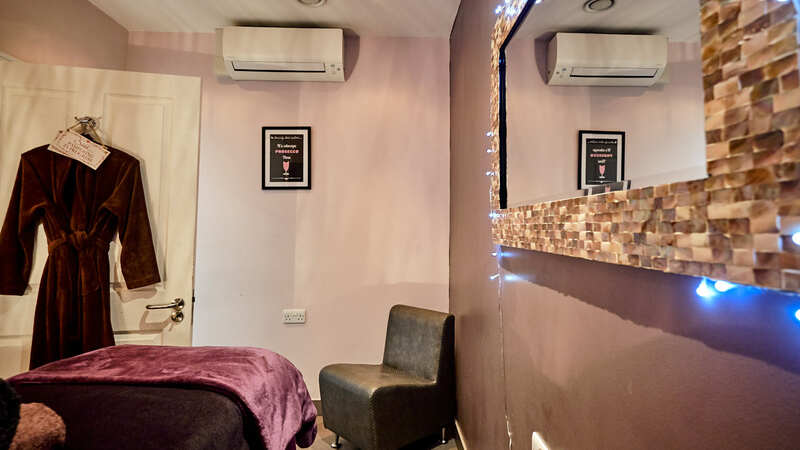 You will leave the salon feeling refreshed, relaxed and revitalised. Our massage is designed to increase blood flow and relieve your everyday aches and pains. All our massages are customised to your individual preferences. After your consultation, your therapist will identify the best oil and massage techniques to achieve the state of body and mind you desire. Your massage therapist will carefully select and blend a mixture of aromatic oils to suit your physical and emotional well being. Special attention will be given to any areas of discomfort or tension. Our therapists are trained in all aspects of massage to ensure you receive a treatment suited to your needs. Whether you’re looking for a luxurious spa massage for yourself or a loved one, this is the perfect spa treatment. Originating in indigenous cultures, Hot Stone is a massage ritual incorporating aromatherapy and tension releasing techniques utilising over 50 heated stones that are placed upon your body's chakra points and used as an extension of the therapists hands over muscles to bring you deep relaxation, grounding and perfect balance from head to toe. Either Aromatherapy pregnancy massage or gentle Swedish massage help reduce stress, anxiety and many of the physical discomforts experienced during pregnancy. Focusing to relieve specific stress and muscle tension, this deep pressure massage gives the wholes body a vigorous workout. Bring your body and emotions into total equilibrium with this soothing and relaxing massage. Connect mother and baby through the power of touch. Specialised positioning to ensure ultimate comfort and relaxation.